Doctor Cat Doctor - . Bob and I took Pearl to the vet for her check up. As usual, Pearl was not amused. Bob had a discussion with our vet about her prognosis. "So, Bob. She seems to have a little arthritis in her elbows but we have something we can give her that might help that." "That's good. Did you know that I'm four-and-a-half?" "Is that right? And what do you want to be when you grow up?" "No. Definitely not that. I'm going to be a Jedi Master." "I think they might need more of those at Star Wars." The boy is a prophet--of course he will be a Jedi Master! I must smooch kitty's forehead. I don't know. Yoda might need a vet. Or Chewbacca. tell him i almost put a calling for a jedi master on craigslist. i could use some help rearranging my furniture. What a gorgeous cat! Thanks! Lov'em! Love that Bob! We definitely need more Jedi Masters like him. Well, it wouldn't hurt him to go to vet school too. You know, as a fallback. your cat is the cutest cat ever. no joke. 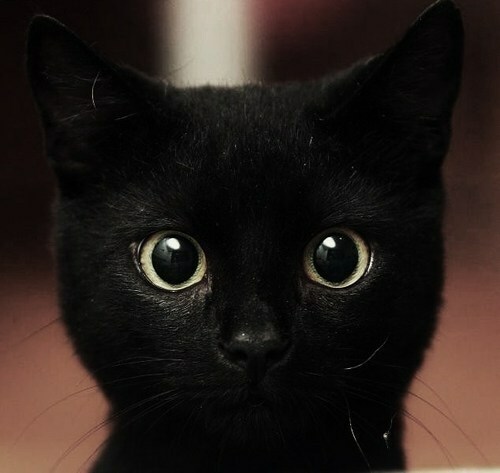 i usually think cats arent cute but that cat's adorable... kinda reminds me of your son Bob. That is your cat right?? This cat is amazing. Those eyes! I know (meaning, have read about) crazy Japanese girls who wear very unhealthy "circle lenses" to get the look that is Pearl's by nature. She is just beautiful! Um... I think your Keane cat is trying to hypnotize me.